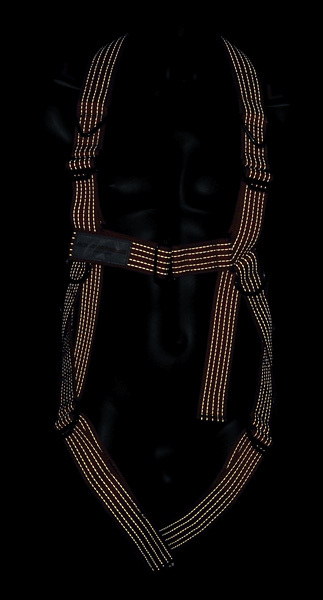 Available as a Vest or Harness to accept a bailout bottle. Hi-Viz reflective strips providing an excellent profile in low light conditions. 316 Stainless Steel Marine Grade fittings. Available in a Standard or XL size. Temperature range: -20 degrees C to +50 degrees C.
Hi-Viz reflective strips woven throughout the webbing provide an excellent profile in low light conditions. 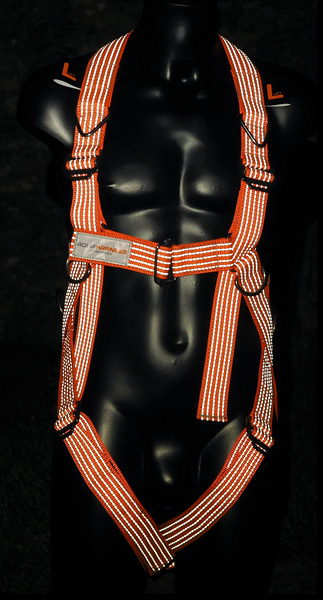 We utilise high visibility fluorescent orange webbing for the harness which in itself provides a high degree of daylight and low light visibility. Woven through the harness we have permanent reflective strips that bounce back any available light making the diver very easy to locate in low light or inclement conditions.